Do You Need a Franchise Lawyer? YES. Here’s Why and How to Hire One. You’ve done it. You’ve made the decision to purchase a franchise. You’ve completed your research, compared your options and landed on the perfect franchise brand for you. It’s an exciting time and you’re ready to get started! But before you sign on the dotted line, it’s critically important that you consult with a lawyer — so that you know what you’re agreeing to and what you can expect. After all, purchasing a franchise is no small investment. Legally binding franchising documents are chock full of important details that you may miss without an experienced franchise attorney by your side. While legal advice is never cheap, consulting with a franchise lawyer will be money well spent, as you are making an investment in your future personal and financial well being. Check out this year’s top rated franchise brands! Do I Need to Hire a Lawyer That Specializes in Franchising? 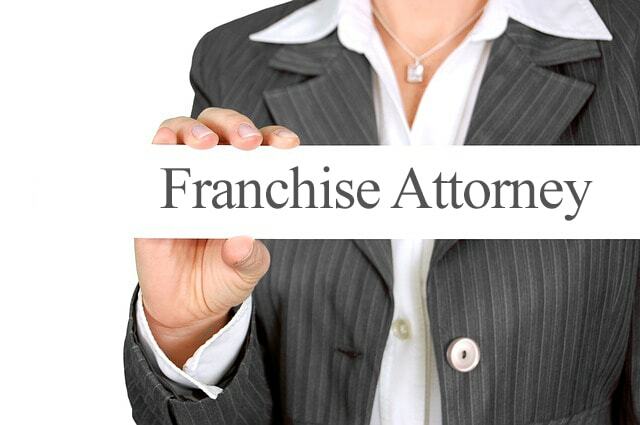 In the majority of cases, it is best to work with an attorney focused on franchising. While general business lawyers will be able to provide counsel regarding business law, franchise specific lawyers will be able to offer very specialized advice based on their past experience dealing with other franchisors and franchisees. They will be well versed in reading Franchise Disclosure Documents (FDD) and franchise agreements, and as such, they will know exactly what to look for to ensure that you only agree to terms that will benefit you. Similarly, since they are focused solely on franchises, franchise lawyers typically deal with the same companies time and time again. This experience can be a great benefit to you as they are familiar with the workings of each individual brand and will be able to give you the inside scoop. Franchise lawyers may also be able to help you negotiate the terms of your agreement and offer guidance on which aspects of the agreement are vague, requiring additional clarification from the franchisor. How Can a Franchise Lawyer Help Me Negotiate the Franchise Terms? Royalty payment structure: Some franchisors collect royalty payments through automatic withdrawals from a franchisee’s account, which can make tough financial months even more stressful. This payment schedule is sometimes negotiable. Right to close: Not all franchisees are allowed to close their business if things don’t go as planned. Instead, they’re obligated to continue operations through the end of the term of agreement or until they can sell their franchise. In some cases, an attorney can negotiate a franchisee’s right to close down sooner, should the business not take off as planned. Right of first refusal: If a franchisee decides to sell a franchise unit, the franchisor has the option of buying it back themselves or allowing a new owner to buy it and take over operations. In some cases, the franchisee is tasked with finding a new buyer, which the franchisor then needs to approve before final sale. One potential pitfall is that a franchisor could, in this case, veto a buyer who makes a high offer so that he/she can make an offer to buy back the franchise for less. Litigation statute of limitations: Should a dispute arise between franchisee and franchisor, a franchisee may want to seek litigation to solve the matter. Some franchise agreements include a requirement for a mediation period during which the parties involved are supposed to try and arrive at an amicable solution before getting lawyers involved. While this is a fine policy in and of itself, the mediation period can sometimes use up a large portion, if not the entire amount, of time included in the statute of limitations for the dispute. This means that, if mediation is unsuccessful, the franchisee may not have much time to properly file suit or may run out of time to do so. It is important to ensure that the statute of limitations and mediation requirements do not conflict. Non-compete clause: Are you considering opening a franchise or launching another brand somewhere down the road? Do you want the freedom to stay in the same industry with another franchise if you decide to close or sell yours? Non-compete terms may not allow you to do so. It is essential to ensure that the terms are not too restrictive. Franchise territory: Most franchise systems offer franchisees an exclusive territory. This may be outlined as a certain distance from your business address, for example, a specific city or county or some other delineation. To ensure you are able to attract as many customers as possible and maximize profit, your franchise attorney can try to negotiate terms that ensure your territory is as large and inclusive of population centers as possible. What If a Franchisor Says Their Terms are Non-Negotiable? Many franchisors will say that there terms are non-negotiable. This is because franchisors don’t want to give one franchise owner more preferable terms than another, which could create dissent and resentment within the system. Regardless of whether a franchisor is willing to bend on its terms, having a franchise attorney review them is a MUST. He or she will ensure you understand the terms of the agreement so that you can decide whether or not they are inline with your needs and goals. You should, however, advise your attorney, early on, if the franchisor indicates that they are not willing to negotiate. This will save you the cost of your attorney’s time rewriting parts of the agreement. When Should I Hire a Franchise Attorney? You need your franchise attorney to review your franchise agreement before you sign it. You’ll also need him or her to conduct a complete review of the FDD. Some franchisors will gladly share their FDD with you right away, while others withhold it until they’ve qualified you as a serious candidate for franchise ownership. Note that they must, legally, provide the FDD no later than your first in-person meeting. Once you have the FDD you’re ready to hire a franchise attorney.. Prior to meeting with him or her you should review the documents on your own and prepare questions and concerns for your meeting. Don’t worry if some parts of the FDD don’t make sense to you. FDDs usually contain an extensive amount of “legalese” that your franchise lawyer will help to put into layman’s terms. How Do I Find the Right Franchise Attorney? Choosing an attorney with extensive franchise experience is important. There are several resources that can help connect you with franchise lawyers in your area. IFA. The International Franchise Association (IFA) provides a list of their attorney partners on their website. While these firms are reliably franchise-oriented, some work exclusively for franchisors. Also, all pay for IFA membership. SBA, Bar Association, Chamber of Commerce. Check with your local Small Business Association (SBA) office, Chamber of Commerce, and Bar Association for listings and recommendations of local franchise attorneys. Current Franchisees. Ask some of the franchisees of the system you are considering who they used for legal counsel and what their experience was. Franchise Attorneys. Don’t be afraid to “interview” franchise attorneys over the phone to get an idea of their philosophies, costs, experience, and personalities before making your decision. Once you have narrowed your choices down to one or two attorneys, be sure to research them online. You may find reviews, associations they belong to, articles they’ve written, and other information that will provide you with helpful insight. What is your experience with franchise law? What honors or awards have you received? How do your clients perceive you? How do other attorneys perceive you? How do you approach a franchise review (communication, discussions, negotiations, etc.)? Can you help with my business analysis? Do you represent franchisors and franchisees? What is the breakdown? Have you ever dealt with X (fill in the name of the franchise you are considering here)? What experience do you have with litigation? With arbitration? With mediation? Are you familiar with the X (fill in the industry of the franchise you are considering here) industry? What should I expect from this process and experience? What Does a Franchise Attorney Cost? While you may find some franchise lawyers are willing to offer a flat rate for a specific service, such as a consultation or to review an FDD, the final cost of their services will depend on how much time they spend on your case. Learn more about financing your franchise purchase. Many franchise lawyers charge an hourly fee with a retainer, which is a lump sum paid up front for a service. The retainer is based on an estimate of how long your case will take. Services in excess of the agreed upon terms of the retainer will incur an hourly fee. If there is no negotiation of terms or multiple revisions to franchise documents, your bill could be between $400 and $1,000. If your attorney needs to do extensive rewriting, reviewing, or correspond with the franchisor, you will, of course, pay more for the additional time. At the end of the day, finding a reputable and experienced franchise lawyer is truly a worthwhile investment. Alleviating risk and getting the best possible terms in your franchise agreement will be worth any legal expenses you’ll have to pay. If you need assistance finding a franchise lawyer or would just like advice on how to find or purchase a franchise, Franchise Business Review can help. Contact us at [email protected] or check out our list of this years top rated franchise brands.